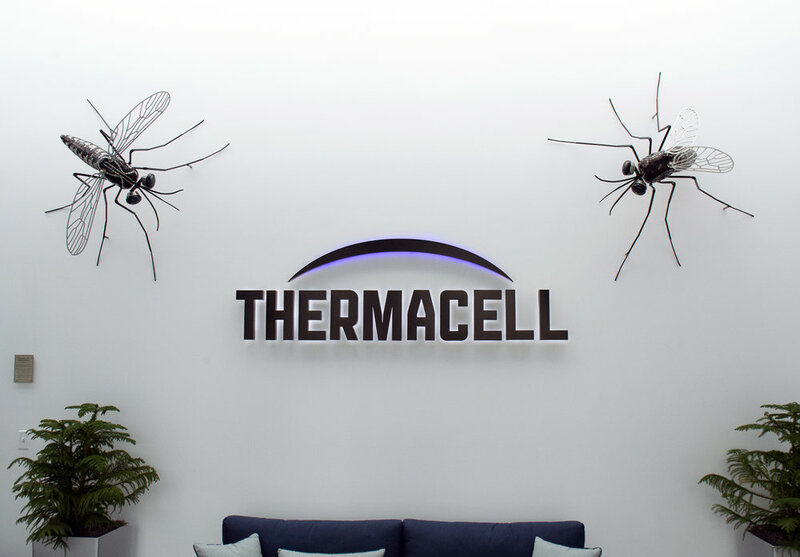 Visitors to the Thermacell corporate headquarters are met by two oversized mosquitoes and a tick, the very pests they control through their ecologically minded products. 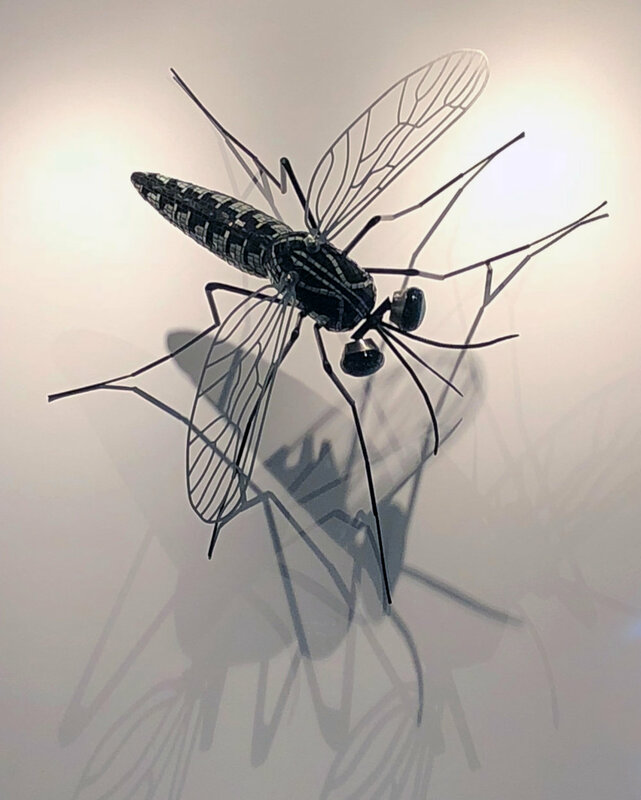 Represented are: Aeges Aegypti, on left, is responsible for a variety of viruses including Zika and Yellow Fever. Culex Pipiens, on right, in the process of finishing a "blood meal" with a belly full of blood. Culex is a vector for diseases including West Nile Virus. The Black-Legged Tick: Ixodes scapularis, transmits Lyme disease.